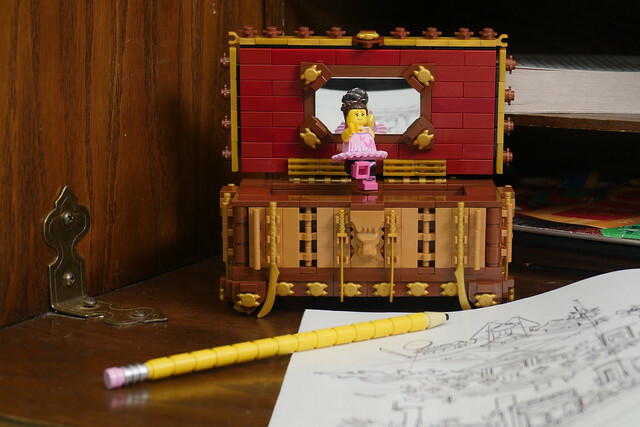 I don't know how this wonderful little music box by TheBrickNinja is motorized, or if it's playing the music we hear in the video. What I do know is it's a really creative use of the seed part for the ABS Challenge as well as the shuriken sprue. All wrapped up in a charming little knicknack that would look great in any house.